Here's a couple of cards I created over the weekend. 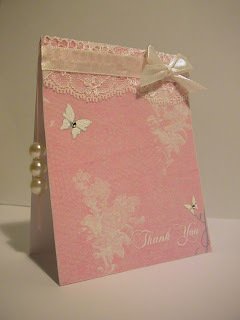 I made the background paper using the Laura Ashley traditional stamp with white acrylic paint. 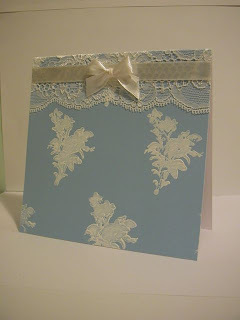 The blue and white was Wedgwood inspired, the vintage lace just seemed to work well with the feel of the card and the satin ribbon finished things off nicely.